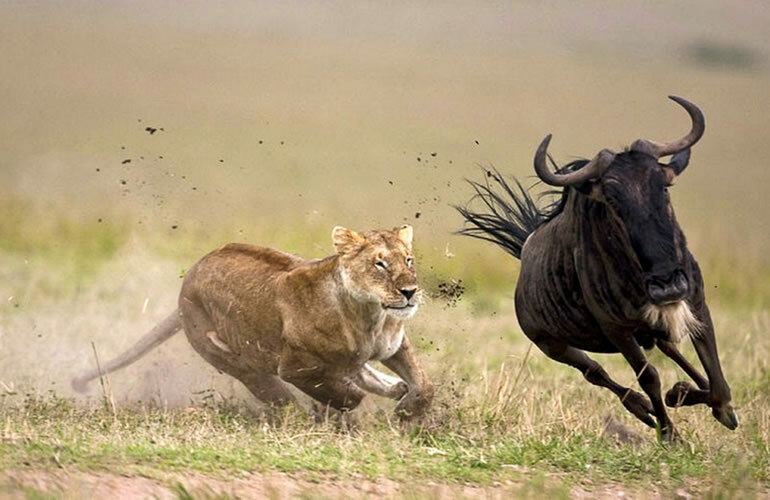 4 Days maasai mara and lake Nakuru budget camping safari. 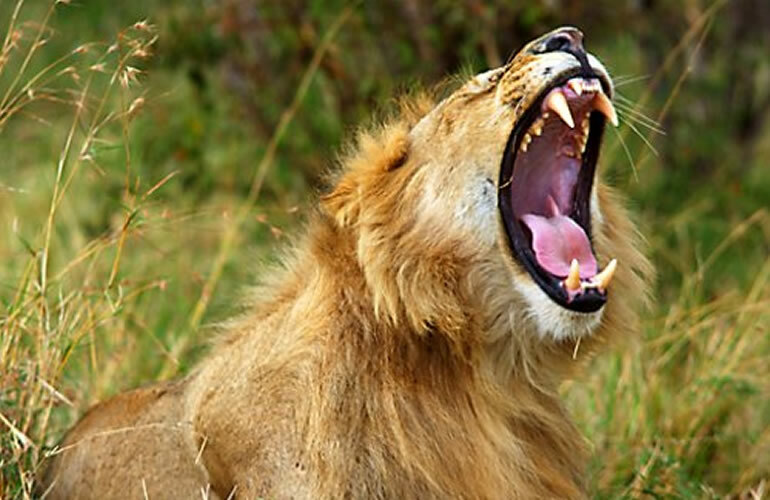 BOA 04: 4 Days maasai mara and lake Nakuru budget camping safari. Our Safaris starts with a pick-up by one of our driver or staff, you will be met in your hotel, residential house, guest house, apartment or airport. Kindly advice pick up point. Pickup is as early as 0730am depending on the location of your hotel. You will have a short Safari over view description as per the itinerary as you get to know your guide. There after depart for Masai Mara with the first stop at the Great Rift Valley View Point. This is a perfect place to be in the early morning and evening. You will watch enthralling Rift valley with its vast vegetation and the sun rays kissing the far and wide stretching mountains in the surrounding. The Great Rift Valley has been reckoned as a wonder of the world stretching from the Middle East passing through Africa and has a great and vast chunk in East African part and ends in Mozambique in the South. After about 15-20min of getting history you will proceed to Narok. Narok is a town west of Nairobi that supports Kenya's economy in south-west of the country, along the Great Rift Valley. Narok is the district capital of the Narok County and stands as the major center of commerce in the district. Narok has a population of around 40,000 people, mostly Masai. The Masai, natives of Narok district, refer to Narok as Enkare Narok (meaning black water or dark water) named after, Enkare Narok, the river flowing through Narok town. The elevation of Narok is 1827 meters (5,997 feet) in altitude. You will have a brief stop here for car refueling; there after proceed to Masai Mara, on arrival you will be received by our Masai Mara Staffs who will then assist you to check in the Camp or lodge. Hot Lunch will be served, leave for the late afternoon game drive which starts as early as you may opt to this early afternoon, this game drive offers you big 5 kill as well as Africa Sunset around 1830hrs, then your driver will then drive you back to the camp or lodge where you will be served with African / English menu food in the Camp buffet style or lodge. • Meals & drinks: Lunch & dinner (Breakfast not included on this day 1) Drinking water is included. (Other drinks such as alcohol not included). Masai Mara is situated in south-west Kenya and is one of Africa’s Greatest Wildlife Reserves. Together with the Serengeti National Park in Tanzania it forms Africa’s most diverse, incredible and most spectacular Eco-Systems and possibly the world’s top safari big game viewing Eco-System. I am sure you have heard the wildebeest migration is nothing short of amazing. It is one of the things you have to add to your bucket list. Balloon ride is highly recommended in maasai mara very early in the morning in search of Africa's Big Five and the plethora of other wildlife inhabiting this vast Kenyan game reserve. On clear days, the Mara offers fantastic orange-tinged rise and sunsets that one can make for spectacular photos. Much game are coming at your door step when you in the park leaving you with only option of counting your blessings that nature holds for you as you view them in their natural habitat using a birds eye view. 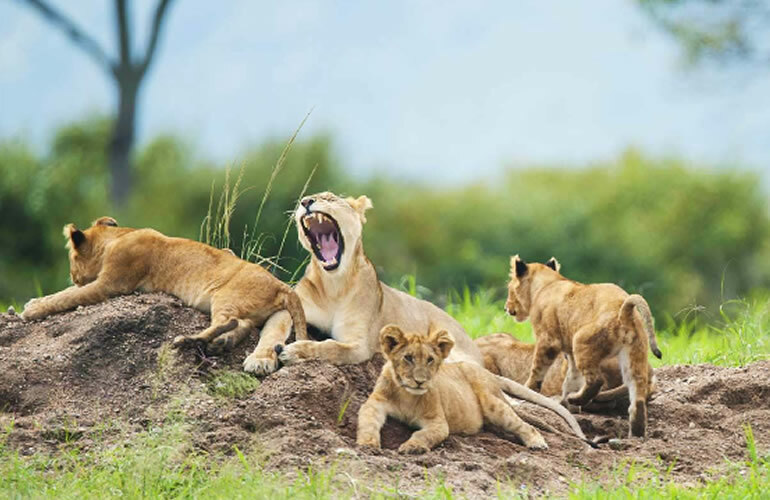 This will be the full day explore the Masai Mara, breakfast will be served as early as 0730am, then our cook will pack for you fresh picnic lunch since the whole day will be exploring the Masai Mara famous 7th wonders of the World. This game reserve is Kenya's finest wildlife sanctuary. Including migrants, well over 450 species of animals have been recorded here. Mara plains are filled with migrating wildebeest and zebra, there is also resident wildlife year round. The Mara's gentle fertile climate bounded by The Rift, offers perhaps the richest stocked reserve set within some 1672 sq km - an unlimited spectacle of wildlife. Located 268 km west of Nairobi, the emphasis here is on game. Herds of immense Elephants, browse among Lion, Buffalo, Thompson Gazelle, Zebra and Topi. You may occasionally sight black Rhino. In the Mara River Hippos play and Cross bask on the banks.. After exploring the park return to the camp for dinner and overnight. • Meals & drinks: Breakfast, Lunch & dinner + Drinking water is included. (Other drinks such as alcohol not included). You will have a wakeup call as early as 0600am, you will have hot African Coffee or Tea and then proceed for Pre - morning game drive as from 06:30hrs for the next 3 hours until 0930hrs, then our driver will drive you back to the camp or lodge where you will be served with full breakfast as you check out for Lake Nakuru, if willing on this day you can as well visit the Masai Village for one hour and learn more of the Masai Culture (company to pay), lunch will be in Narok town or ( Mai Mahiu) hot water after lunch proceed to Lake Nakuru and arriving early evening I recommend checking in at your budget accommodation and relax after a long drive. Game viewing in Nakuru will be done on day 4 in the morning till lunch time. This is so because Lake Nakuru hardly allow re-entry to the park and if we get to the park on this material day we shall only have a few hours before its closing time than getting to the park in the morning and spend good time exploring the park on Day 4 (this will be possible if you opt for http://kranhotels.com/ as this budget accommodation is outside the park ) otherwise for the lodge option you will have both evening and morning game viewing in lake Nakuru since lodge facilities are located inside lake Nakuru National park and one can take advantage of the lodge location for more game viewing. Day 4: Lake Nakuru - Back To Nairobi. The Bird Watchers’ Paradise the Lake is on the floor of the Great Rift Valley, surrounded by wooded and bushy grassland, lies the beautiful Lake Nakuru National Park. Visitors can enjoy the wide ecological diversity and varied habitats that range from Lake Nakuru itself to the surrounding escarpment and picturesque ridges. 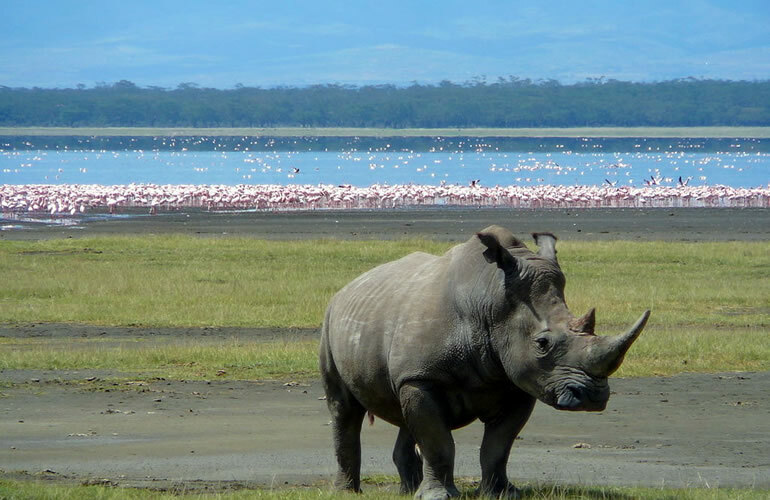 Lake Nakuru National Park is ideal for bird watching, hiking, picnic and game drives. Breakfast will be served at around 0730am there after proceed for the game drive, you will have a chance to visit a unique sanctuary catering for a sizable number of the endangered White and Black rhinos as well as Rothschild giraffe. Water bucks, predators such as the lion and leopard are common at the park. • Meals & drinks: : Breakfast & Lunch. Drinking water is included. (Other drinks such as alcohol not included).